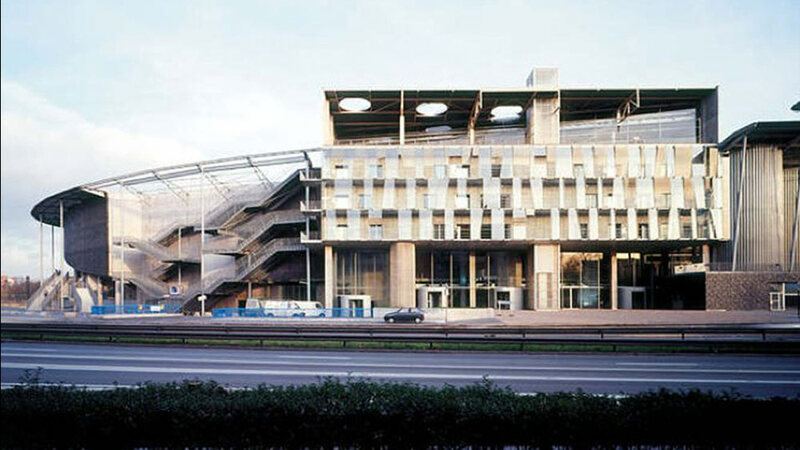 For the lowest of budgets, this low-orbiting egg structure, created to mark the spectacle of the Tour in France in 1994, provided a series of small miracles in its organisation, appearance and technicalities. 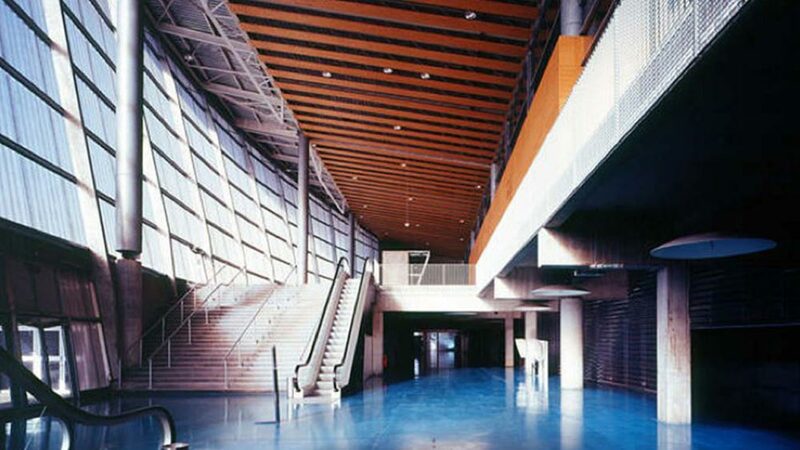 A vast compendium of space, it includes three main areas: Congrès, comprising lecture halls, restaurants and offices, Zenith, a huge amphitheatre and Expo, a vast exhibition space. 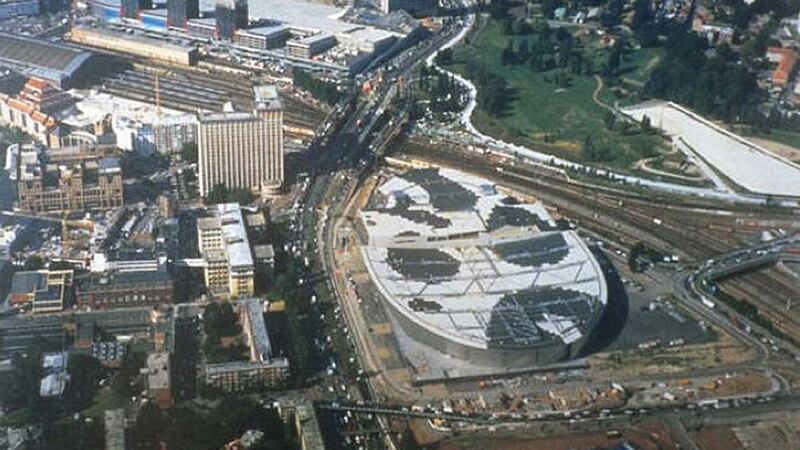 What binds the three programs is a unifying geometry, a dipping concave roof that takes the shape of an ellipse. 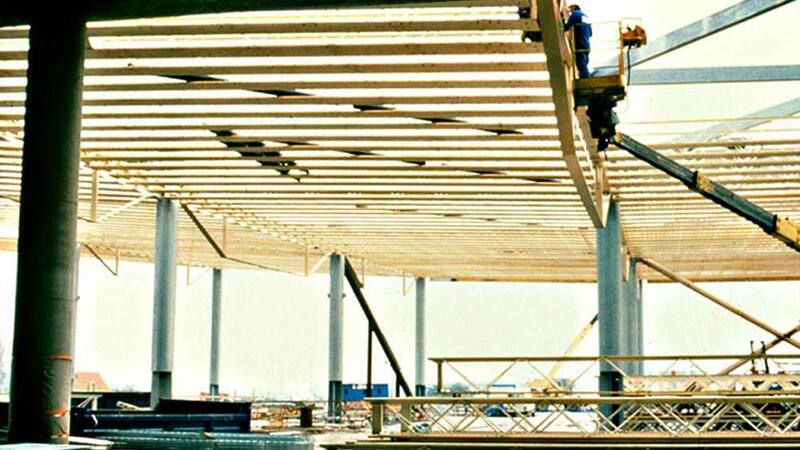 What could so easily have been a deadening industrial type roof is transformed by Balmond into a stunning design that echoes a beautifully laminated boat hull. 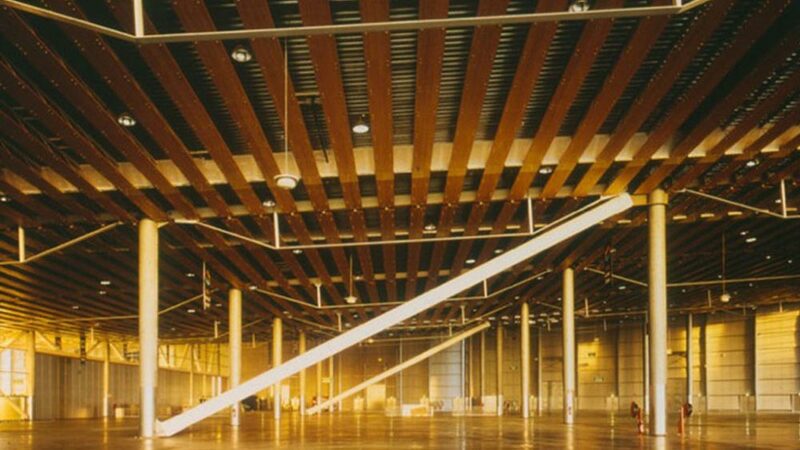 Proposing timber not just as a cosmetic add-on, Balmond makes the wood material itself the structure, as the tension boom of a truss. Bringing steel and timber together in very unusual circumstance, hybridization runs free along the roof.